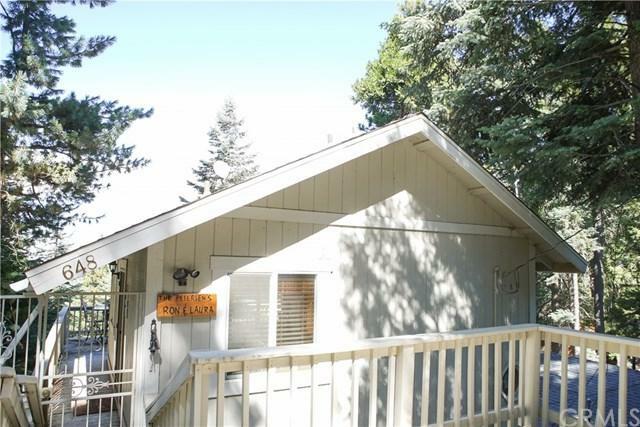 COME BASK IN THE LAKE AND RIDGE LINE VIEWS OF THIS WELL-MAINTAINED THREE BEDROOM, TWO BATHROOM LEVEL ENTRY HOME. THIS PROPERTY ALSO COMES WITH AN EXTRA LOT JUST TO THE LEFT OF THE HOME. THIS HOUSE FEATURES A GENERATOR, AIR CONDITIONING, STAINLESS STEEL APPLIANCES, HARDWOOD FLOORS, AND A LARGE STONE FIREPLACE. ENJOY EASY ACCESS STORAGE OFF THE PARKING DECK AND ADDITIONAL STORAGE BELOW. BEAUTIFULLY FURNISHED PER INVENTORY.